The new story from the Business Insider that the Drudge Report linked to today reports upon a new community being built deep in the heart of South Dakota called "Vivos xPoint". 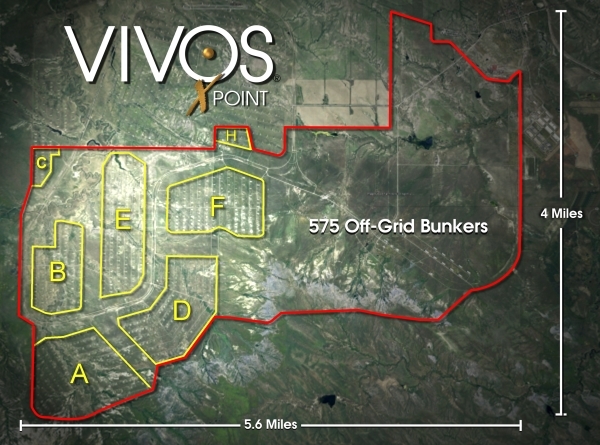 Billed to be the largest private bunker community on Earth, a 99-year lease on each bunker can be purchased for $1,000 a year with a $25,000 deposit up front. And while making such a purchase will grant you access to one of 575 bunkers made of hardened concrete and steel, built to withstand a 500,000 blast from explosives from within by the US Army back in 1942, any and all upgrades done to the structures will have to be paid by the purchasers. Expecting that the first tenants can move in as early as the Summer of 2017, underground bunker builders Terra Vivos recently purchased the 575 bunker structures built by the US Army Corps of Engineers to house munitions and explosives at the Black Hills Ordinance Base to transform it into a full-fledged survival community, complete with a school and a general store that they plan to have opening sometime in 2017. "Whether its nuclear war or a zombie apocalypse that triggers the end of the word, Vivos Group wants you to be prepared" we're told as once again, we learn more about the 1% preparation for the end of the world. 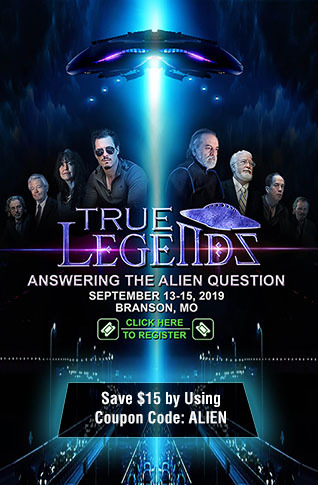 Just the latest report that we've gotten that the ultra-rich are getting ready for something huge, have the 'ultra rich' been reading websites such as SteveQuayle.com, Survivalist Blog and SHTFPlan recently or do they know something that most Americans still don't know? 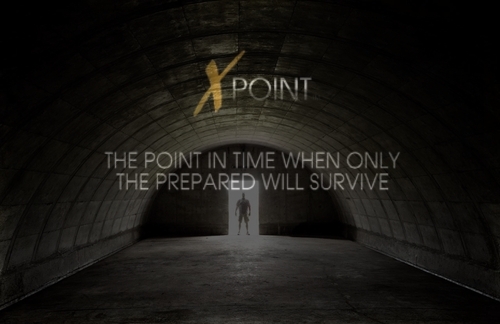 As Vivos tells us in the 1st video below, 'X Point' is the point in time when only the prepared will survive. Certainly, as this new Express story proves, in such a case most millenials are doomed. 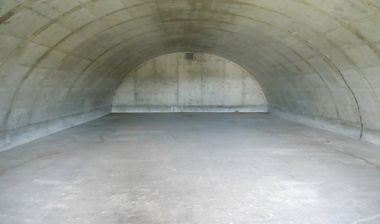 Measuring 60' to 80' long by 26.5' wide with a 13' ceiling height, each bunker will be able to accomodate between 10 to 20 people along with supplies for up to a year...just in case everything falls apart here in America and the SHTF. As we see in the photographs below of what the bunkers look like now compared to an artists illustration of what they can be turned into, an awful lot of work will need to be done to these to turn them from bunker into a home with currently no electricity, running water or heating/insulation. Still, as Vivos wisely points out, for those with the money to do so, you can't put a price on 'peace of mind' with these bunkers also being 'totally off grid'. Vivos can pitch in as little or as much as the tenants like. The company estimates the cost of retrofitting each shelter — complete with a blast door seal and interior lock, an escape hatch, exhaust and air vents, a propane generator, a fuel tank, electrical wiring, plumbing, a hot water heater, and a septic system — is roughly $12,000. More "optional" construction, such as building walls, flooring, and energy storage, could run up an additional $20,300. For a full estimate of the costs, click here. So, what do the 'super rich' know that most of the American people don't know? As Terra Vivos tells us in the first video below, we live in a world with a very delicate balance with great uncertainty ahead - and when disaster strikes, the time to prepare has already past. Built at 3,800' above sea level and in a location far far away from the masses, we see in these bunker designs some attempt to retain some 'normalcy' when the entire world is anything but 'normal'. In both the 2nd and 3rd videos below, our videographers take a look at Vivos xPoint with the videographer in the final video tying in the elites preparation for the end of the world to the mysterious 'planet Nine', which according to this story from NPR that Steve Quayle linked to on his website on Monday, astronomers 'hope to catch a glimpse of soon'. With such a 'glimpse' immediately becoming historical since technically, a new planet hasn't been discovered since 1846 (not counting downgraded Pluto discovered in 1930), we're told that one of the most important astronomical discoveries in more than a century could be the reason why so much preparation is taking place at such high levels. 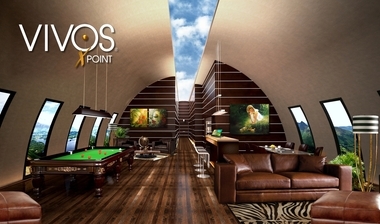 With 1800 to 2400 square feet of floor space each, we see in their artist floor plan above that each of the xPoint doomsday bunkers will be able to sleep 10 people comfortably and while we'd rather not be in such cramped conditions for the long haul, we see in the photographs below a possible ideal situation for survival, far away from the masses. Knowing that other preppers will also be living in this community certainly won't hurt. Whether zombie apocalypse or nuclear war or complete economic collapse, the further away we can get from the death traps called cities increasing the odds in our favors and while the 1% prepares, the very last thing that we should be doing is becoming complacent just because Donald Trump was voted into office. As this new story from M.D. Creekmore reports, there are still a number of disastrous scenarios that could still unfold during the Trump years that will leave unprepared Americans in very dire straits. From a massive increase in terror attacks here by 'trojan horse terrorists' allowed into the country during the past 8 years to a far reaching and long-lasting economic collapse levied upon America during Trump's watch, the reasons to prepare for the future never end. And as Jeremiah Johnson reports in his new story over at SHTFPlan, during Obama's last 20 days, "this transition period is such a dangerous time for this country." And while we won't be out of the woods just because Trump will be coming into office, the fact that so many of the 1% are STILL preparing for 'the end' tells us that we probably should be, too.